Ah, Chromebooks. They may not be everyone's cup of tea, but I'll continue to praise them for as long as I walk this mortal plane. I mean, what's not to love? They're secure, affordable, and durable. The only complaint I ever have is that they're plain-looking. Well, that's not the case with the Acer Chromebook 11 (available at Amazon for $269.99). This Chromebook's eye-catching color scheme and unique textured finish really reels you in. Battery life is also excellent, and I found performance to be shockingly snappy (so long as you use it for basic tasks). Plus, it supports Android apps. I'm also a big fan of the diverse port selection and notably affordable price, but it's not a perfect product, either. The display is small (a given), but it's also dimmer than we prefer. The matte finish on the screen is great, but the low brightness means shadows lose definition. The speakers aren't very powerful, either. 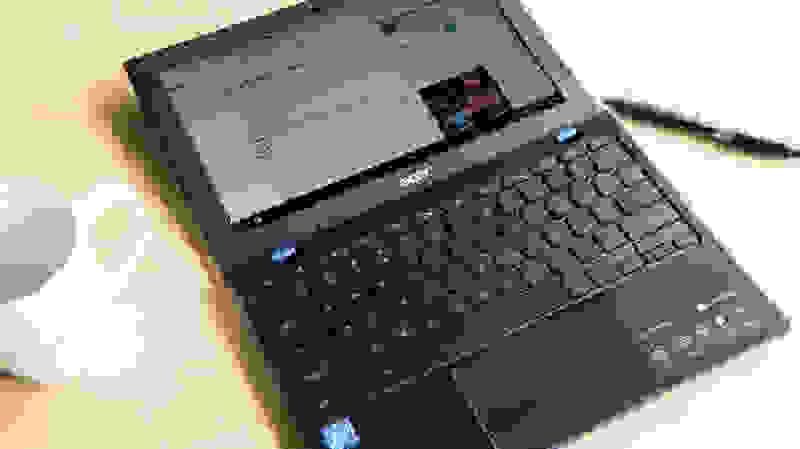 Despite the underwhelming multimedia experience, though, we still think this Acer is a great choice for everyday users. 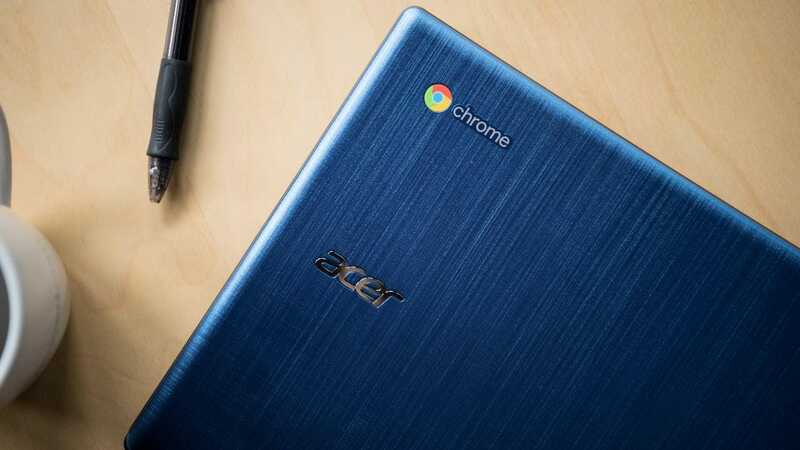 The Acer Chromebook has just one configuration. Starting at $269.99 on Amazon, it's armed with an Intel Celeron N3350 processor, 4GB of RAM, and 32GB of flash storage. That's good enough for everyday tasks like web browsing, watching live streams, and so on. It's also silent due to the fanless design, which is perfect for coffee shops! Between the indigo blue exterior and the textured lid, this is one snazzy-looking Chromebook. When I first laid eyes on it at CES, I couldn't believe it was a Chromebook, as they're typically known for their utilitarian/generic designs. But while it doesn't feel high-end to the touch, like a more expensive laptop, the plastic shell is surprisingly rugged. I didn't notice much flex in the display or base. It's also really small and light, so you can toss it in your bag and be on your merry way. For a $269.99 machine, the Acer is shockingly zippy. Featuring the latest Intel Celeron processor, you can run multiple programs simultaneously and won't have any problems. I managed with fifteen tabs open in Google Chrome, including a live stream of Fortnite. I didn't notice any lag, even when I was jumping in and out of every tab. Although it's not the most powerful machine we've ever worked with, we were still surprised by its capabilities. For the everyday user, it's perfect for surfing the web or watching Netflix. Now, don't get me wrong. I love high-end machines as much as the next person (hi, tech nerd here), but they're often astronomically expensive, costing well over a grand. 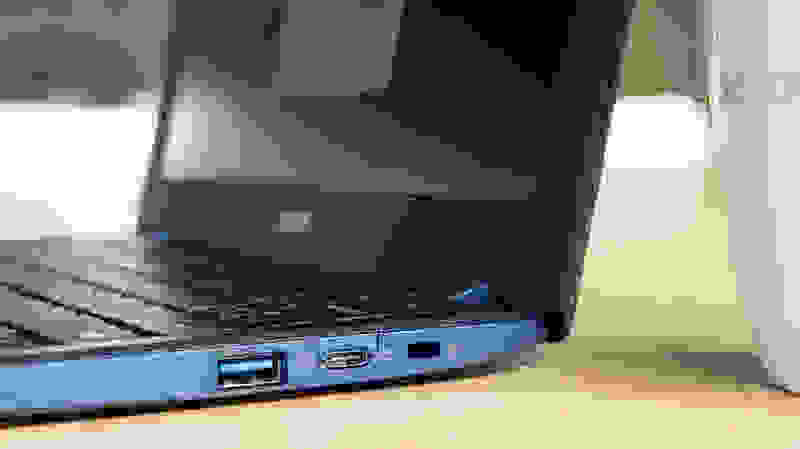 And when it comes down to it, nothing really beats a reasonably priced laptop—that's exactly what you're getting here. The base model is only $299.99 (on the Acer website), which is ideal if you're looking for an entry-level product. To test battery life, we use a WiFi browser test that cycles through popular websites like Twitter and Facebook on a continuous loop. It mimics the habitual activity of real people, without me having to sit there and actually use each laptop until it dies. 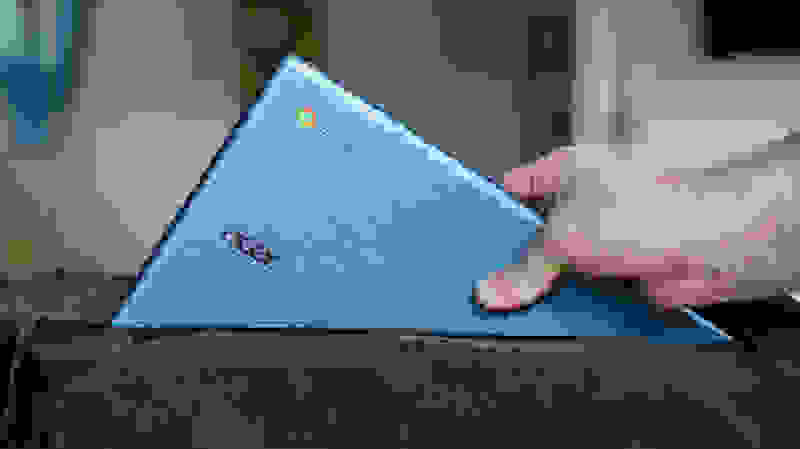 This Chromebook died in a little over eight hours—that's a full work day! What can I say? This machine transcends outlets, and it's fabulous. So, if you're the kind of person that's always on-the-go, this Chromebook should last you quite a while on a single charge. Acer did really well here. Not only are you getting two USB-A ports, you're also getting two USB-C ports and a microSD card slot. The USB-C ports can be used for charging or hooking up to an external mouse/HD monitor. The legacy ports are nice, too, especially for transferring data with thumb drives. Oh and did I mention that they're all 3.1? That means faster transfer speeds. When I watched the teaser trailer for Bohemian Rhapsody, a new biopic about Freddie Mercury, the iconic singer's flashy costumes looked plenty vibrant. However, at max brightness it tops out at 228 nits, which isn't very bright by modern standards. It's an acceptable display, but it won't impress you. The low resolution is about what you'd expect in a laptop this size. The one thing I like is that it's a matte display, which means you shouldn't experience any annoying issues with reflection. There's nothing more obnoxious than having to squint your eyes to make out anything on the screen. According to Acer, there will be a touchscreen option in the future. And while that's nice and all, for me, I'd pick a matte display over a touchscreen any day. As I was jamming out to Hozier's From Eden, Andrew Hozier-Byrne's velvet voice didn't sound as... velvety. Lower tones like the catchy bass line sounded less punchy and more muffled, too. I noticed the Acer can fill a smallish room with sound, but that's about it. While I don't think this is a deal-breaker, especially if you typically use earbuds or headphones, it's just another thing to consider. On the other hand, the screen isn't great (it's a lower resolution and dimmer than we'd like) and the speakers are underwhelming. If you want or prefer a higher-quality display and don't mind spending a little extra, we'd recommend the Acer Aspire E 15 (2018). 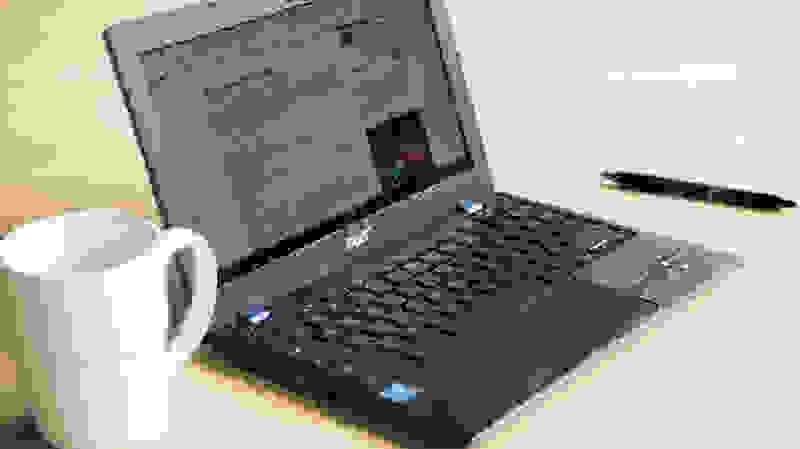 If you don't have any issues with those drawbacks, however, the Acer Chromebook 11 is a great choice for the non-specialist users who don't want to drop a ton of cash.